A student at the University of Tokyo Graduate School, Kohei Ikeda is researching a new mode of expression for textiles for decorating daily life by creating soft furniture and toys in which images seem to float on the fabric. His solo artworks include such artworks as a world map in which viewers search for lines similar to palm wrinkles among the rivers and mountain ranges. His awards include the MVE award from the Institute of Electronics, Information and Communication Engineers, and the Campus Genius Award Miraikan Award. 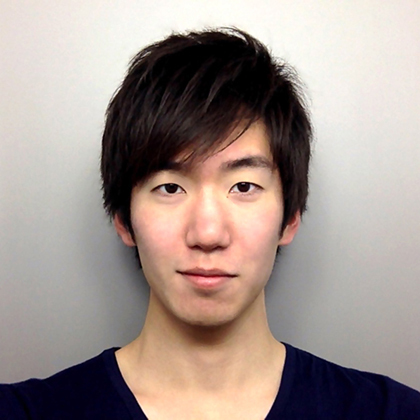 He has created a new mode of expression for textiles called Clothcreen / FunCushion in which images are applied to the surface of soft cloth items such as clothing and cushions. 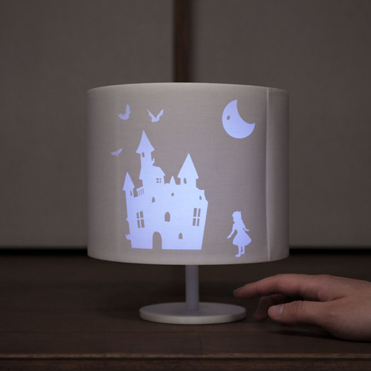 To date, he has created textile works for adding color to daily life that add time as a thematic element, such as a lampshade in which images appear at bedtime, and a set of soft building blocks that show pictures when grasped. The inspiration for this work came from the artists realization that the pattern of his fingerprint looked like the grooves on a vinyl record. 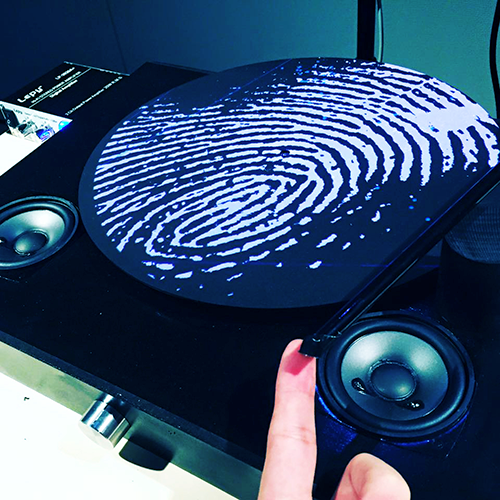 This work makes the participant’s fingerprint appear like a vinyl record and uses computer vision to generate a personal song from the shape of their fingerprint. The concept he used to create the work is that “everyone has a personal song hidden at the tip of their finger”.